There was mixed reactions in February when the organisers behind Skipton’s annual rural festival would be migrating to the city of Leeds for 2015. Beacons had become a summer festival favourite for Yorkshire locals since its inception in 2012 due to its quirky sideshows and consistently excellent lineups, so understandably some were left upset with the change. 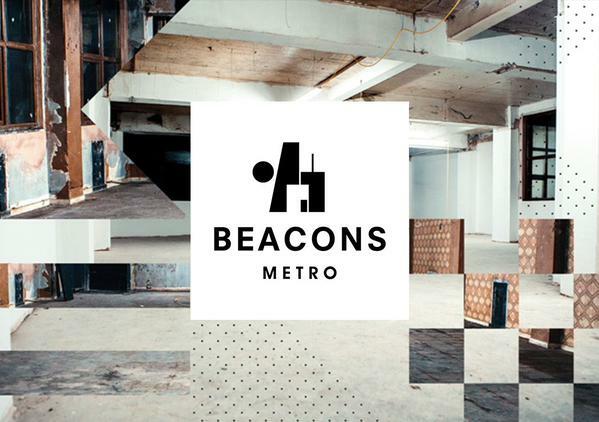 The inaugural Beacons Metro Festival stretched over September till December, showcasing over 50 events in Leeds and Manchester, with well over 100 artists on the bill. In keeping with Beacons fashion, the lineup consisted of a highly eclectic mix of up-and-coming bands with plenty of local acts on support, as well as some old favourites from previous festivals. Events were individually ticketed at various prices, though season passes were sold for £60, which was excellent value for money if you were planning on attending more than a few of the gigs, but only ideal if you lived local to Leeds city centre. 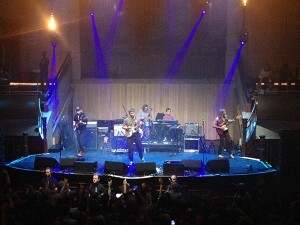 The whole thing kicked off with a huge event at Manchester’s excellent Albert Hall featuring Mac DeMarco and a full supporting lineup of smaller hyped bands. As per usual, Mac blew the roof off while he and his band songs from the recently-released mini album Another One. The band provided a great opening night that was enjoyed by all, even though his fans are, for the most part, a bit obnoxious. Over in Leeds, events were largely held at new hip venue Headrow House, a contemporary New York-esque space in the centre of town. 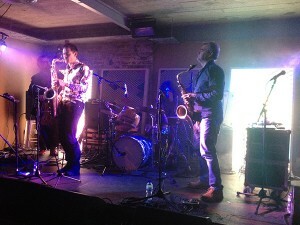 The venue’s free opening party featured a lively set from East India Youth to properly kick off Beacons in its new home. I then spent the majority of my evenings over the next 3 months trailing over to the venue with my season ticket. I’ve found it a great way of discovering new bands and artists that I probably wouldn’t have checked out otherwise. Attendance levels varied significantly with events ticketed individually (Beaty Heart played to less than 10 of us), but the space felt fairly intimate, even when a particular event was sold out. 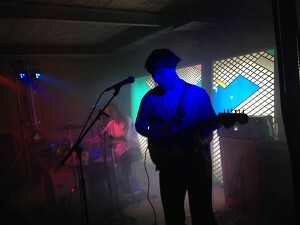 Several of the events were also free entry, including a series of residencies from DIY magazine, giving some good exposure for new talent including Sheffield’s Nai Harvest, local psych rockers Weirds and rising garage three-piece TRAAMS. 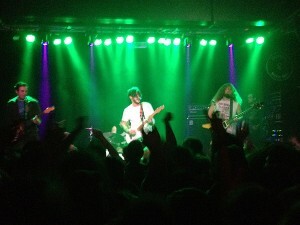 One of the main events came from Wavves at the sold out Belgrave Music Hall, playing a huge set to one of the liveliest crowds I’ve ever seen, with crowd pleasers “King of the Beach” and “Green Eyes” inciting huge pits and stage diving en masse. Beacons has been excellent for bringing underground electronic acts to Leeds. Teaming with Recon Festival, which ran simultaneously, October saw an all-dayer of experimental electro at the Headrow with Hookworms showcasing a slightly different sound with acclaimed producer Richard Formby in their headline set. The local favourites delivered a highly progressive, drone-based set with minimal vocals, supposedly displaying the new direction they’re taking for their upcoming third album. The event continued into the early hours with techno from Karen Gwyer and Container. Warp heavyweight Clark finally made his return to Leeds with a co-headline slot at the Belgrave with new blood Mumdance, who’s had a killer year delivering a bunch of innovative experimental electro across multiple projects, though few stuck it out to see the end his set. 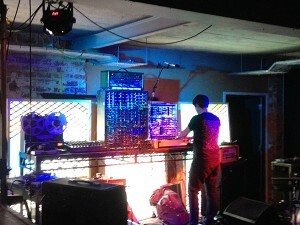 Nevertheless, the duo delivered an excellent full night of techno in the unusual setting of the Belgrave. Another highlight for electronica came from Beacons favourite Daniel Avery and Volte-Face, who played a euphoric all-night show at the sold out Headrow whilst the first snow of the winter fell outside. The versatile Headrow House shows it can display performances from artists of a range of genres without compromising on sound quality. Beacons helped The Leaf Label celebrate its 20th birthday with appearances by the highly energetic Melt Yourself Down to bring the party vibes, as well as jazz powerhouses Polar Bear doing a showcase of their progression as a band, with some quirky stage banter in between from frontman Seb Rochford. Chilean space-rock quartet Föllakzoid played a brilliantly loud, trance-inducing, near 2-hour set of psychedelia with the fog machines in full force. These guys have certainly been a key discovery for me. The following day, the mysterious Willis Earl Beal took to the stage and gave a wonderfully soulful performance with nothing but an iPod and his voice. I considered missing this one since I’d not really heard him before, but this turned out to be one of my personal highlights of the entire festival. Despite another stellar lineup from Beacons, the issue with having the events dragged out over a long timeframe was that I found myself forgetting that they were supposed to be part of something bigger. Condensing the festival to a 2-3 week period with all-day/nighters at the weekends would have given it a greater purpose in my opinion. Beacons seems to have lost some of its soul in its move from the fields of Skipton to the sterile concrete setting of Headrow House. The venue will likely mature over time and is set to continue putting on some great gigs throughout 2016, but the quirkiness of the original festival has largely been lost.